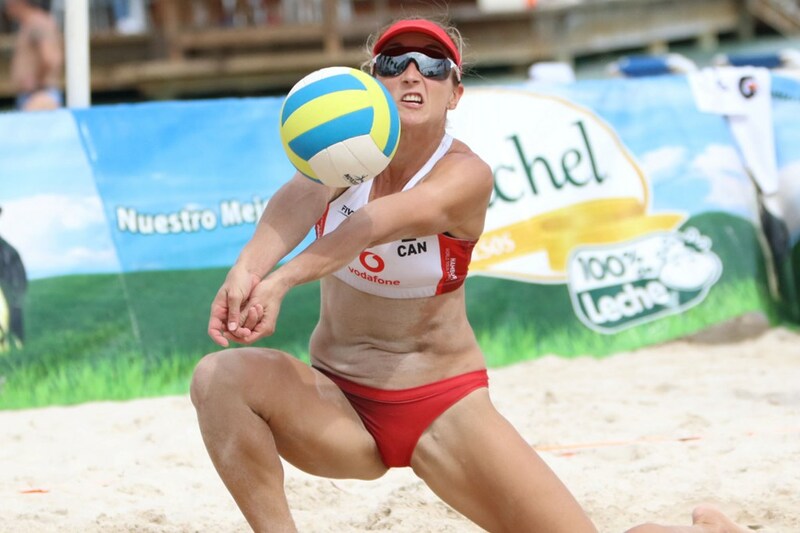 BOCA CHICA, Dominican Republic, October 7, 2018 – Top-seeded Brandie Wilkerson and Heather Bansley of Canada will play against Alix Klineman and April Ross of United States for the women’s gold medal of the Boca Chica Beach Volleyball Tournament on Sunday evening. Wilkerson and Bansley advanced to the title’s match after defeating Cubans Arlin Hechavarría and Yanisleidis Sánchez by scores of 2-0 (21-14, 21-16). On the other hand, the second-seeded Klineman and Stockman outscored compatriots Kelley Larsen and Emily Stockman in terrific three-set duel that finished 2-1 (21-18, 19-21, 22-20). The gold medal match is scheduled at 18:00 local time. The bronze medal contest between Hechavarría/Sánchez and Larsen/Stockman will place at 17:00. The contest for fifth place features a duel between Mexicans Martha Revuelta and Zaira Orellana and Canadians Sarah Pavan and Melisa Humana-Paredes. Revuelta/Orellana defeated compatriots Stephanie Burnside and María Quintero 2-0 (22-20, 21-17) while Pavan/Humana-Paredes dominated Alondra Berroa and Juliberth Payano of Dominican Republic 2-0 (21-8, 21-7).